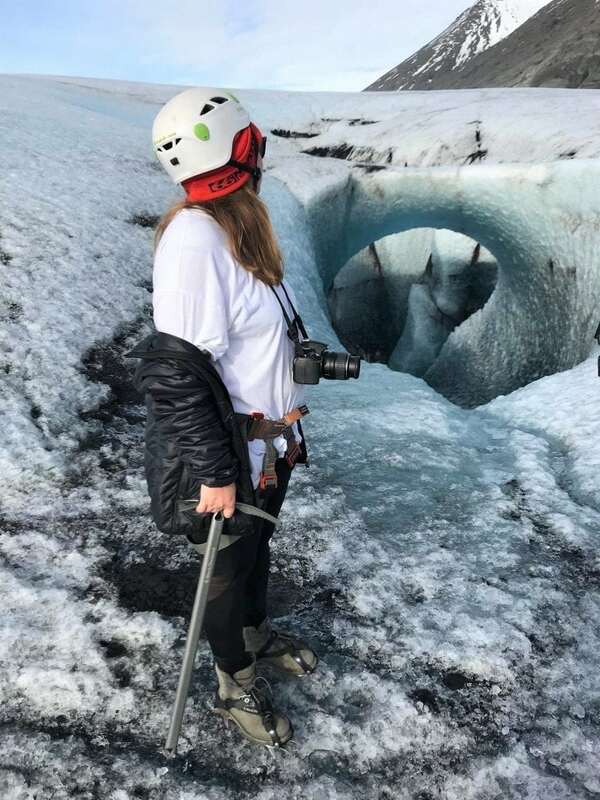 Glacier Hike on Vatnajökull glacier is definitely a bucket list item. 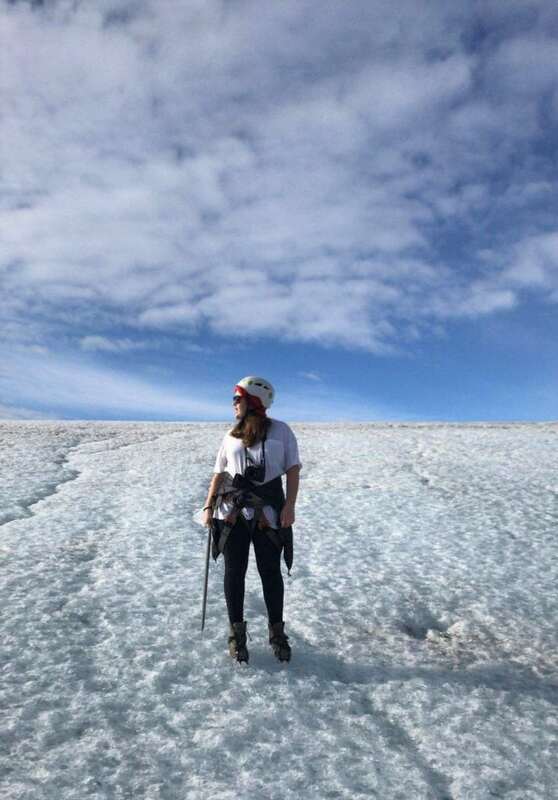 Summer or winter, doesn’t matter, glacier hikes are available all year round. 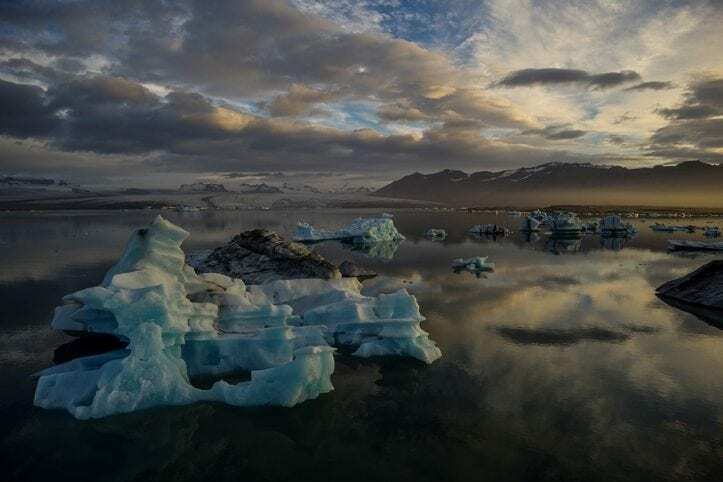 Glacier hiking is among the most amazing and fun adventure you can have in Iceland. Just imagine the unique experience of trekking across an outlet glacier. No one should ever go on a glacier without a certified guide. 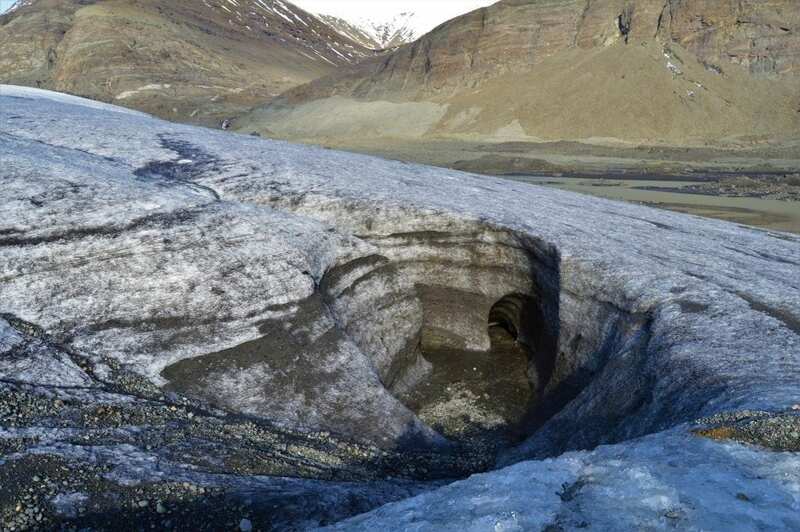 Currently there are several tour operators offering glacier hikes on Vatnajökull glacier. Each company has their own meeting point.  Each company go to different glacier outlets and it can vary how long it takes to drive to the starting point. A super jeep with huge wheels transports you across the rough Icelandic landscape as close to the glacier as possible. First part of the hike is to put on appropriate gear and equipment; helmet, crampons, ice axe and a harness. Your glacier guide will teach you how to use the glacier equipment. After that, you walk towards the edge of the glacier to start the hike on the glacier. The tour guide keeps you entertained the whole time with stories, facts and information about the glacier and its surroundings. 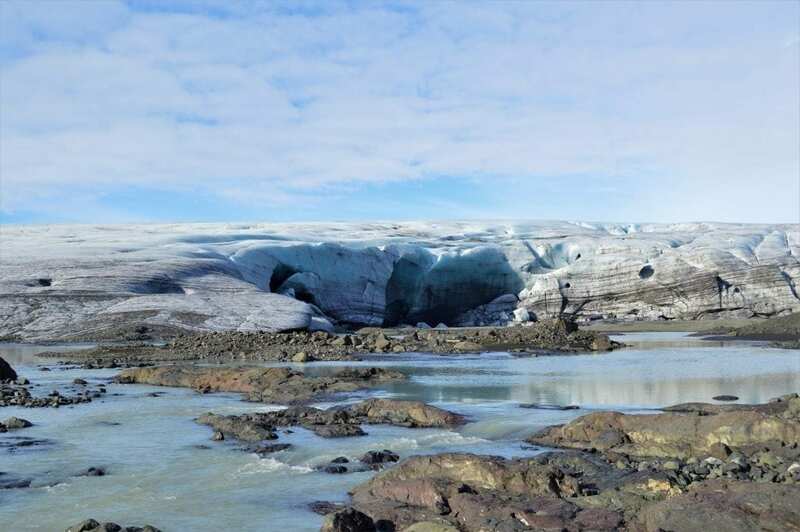 The guide tells you about the magical world of glaciers, which have their own water systems, crevasses, dirt cones, glacier mice, moulins and possibly ice-caves. There is also a plenty of time to take photos ???? It’s difficult to describe how awe-inspiring the glacier hike is. Walking on the glacier is an unbelievable and unique experience. While walking, the only thing you see for miles is white ice with ash scattered on top and are surrounded with beautiful mountains. Breathing in the fresh air and sinking it all in. Just beautiful. 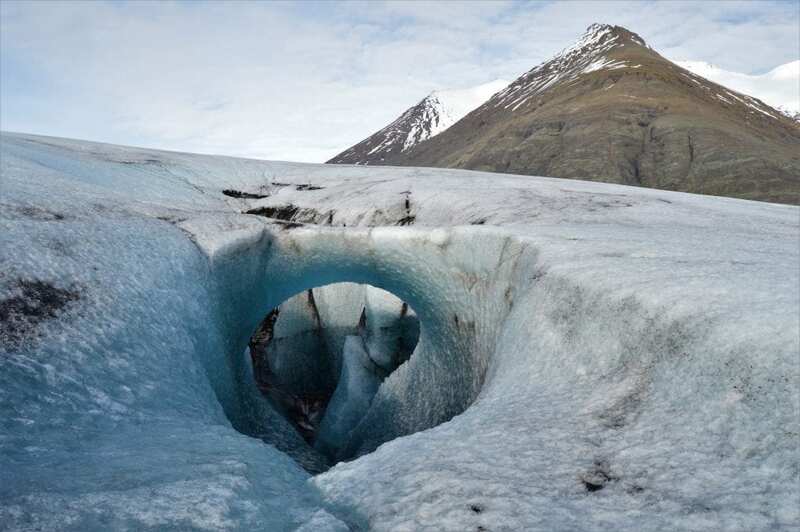 If you haven’t tried it, we highly recommend that you consider in doing a glacier hike. 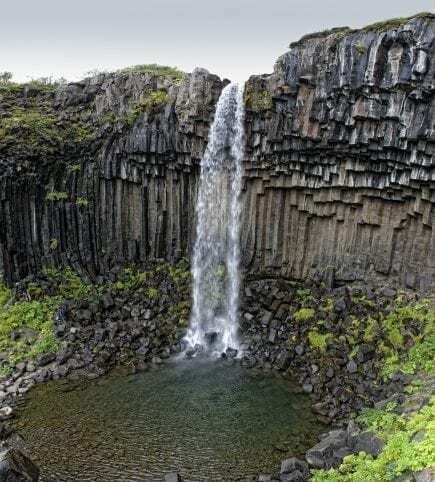 The glaciers won’t be around forever. 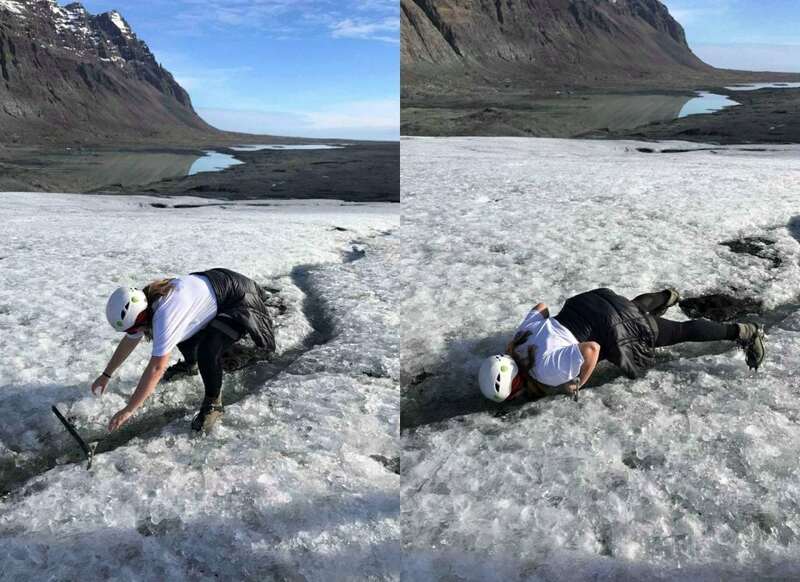 Depending on conditions, the tours often involve having a sip of water from a stream running on the top of the glacier. 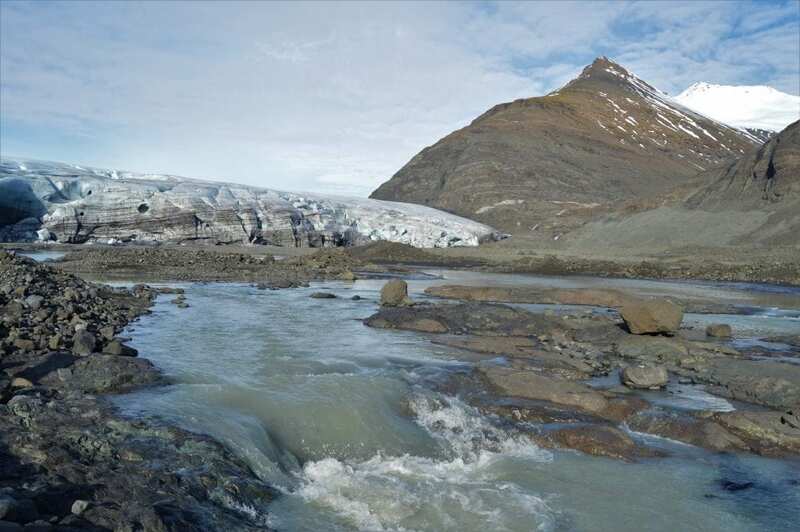 On this particular tour we stopped at a small stream that was flowing on the surface of the glacier. The guide used two axed to make a bridge and showed us how to use it to drink straight from the stream. One of the best parts of the whole experience, aside from the insane photo opportunities. The time flies when you are doing something as exciting as this. Usually it takes about an hour to walk up the glacier, but the way down takes only about 10 minutes. The whole tour usually takes up to 4 hours, depending on accessibility to the glacier, which of 1-1,5 hour is spent on the glacier. What to wear on the hike?  There is no need to bring any special glacier equipment as that is provided by the tour operator. The weather on the glacier can get colder, no matter if you are traveling in summer or winter, it is necessary to wear warm clothing and good hiking shoes. Of course, depending on the season if you will need more or fewer layers of clothes for the glacier hike or other things. If you don’t have hiking shoes with you, the tour company you are going with can provide shoes for an extra fee. Layers of sweaters, a waterproof jacket, hat, gloves and sunglasses are other things that is good to bring along. 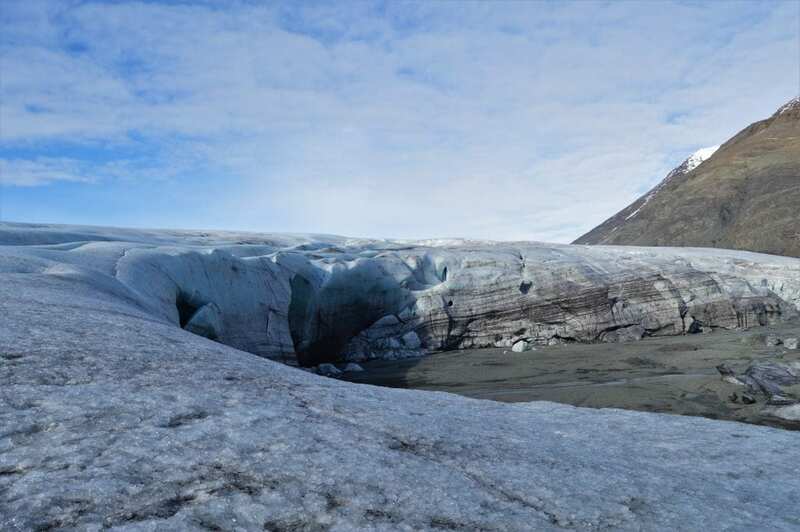 Don’t miss out of this unforgettable experience on walking on Vatnajökull glacier. Book here.